THE HOTTUG IS A MOTORIZED HOT TUB BOAT AVAILABLE TO OWN OR R - ProudMummy.com the Web's Community for Mums. 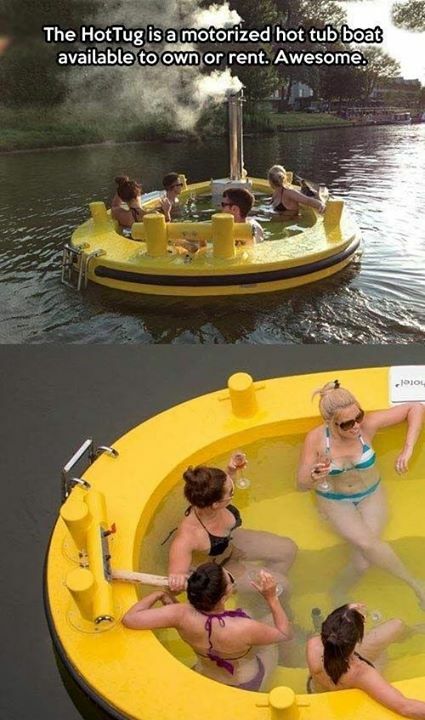 THE HOTTUG IS A MOTORIZED HOT TUB BOAT AVAILABLE TO OWN OR RENT. AWESOME.